Many motorists say they’ll never drive again if autonomous cars become available. 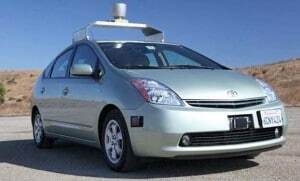 The first autonomous vehicles are expected to go into production by the end of the decade. Nissan and several other automakers have promised to put the first fully autonomous vehicles into production by the end of the decade, and industry analysts suggest the technology could become increasingly commonplace in the years to follow. That, of course, raises one basic question: will consumers buy vehicles that can drive themselves? Despite a fair amount of skepticism, the answer appears to be yes. Interest in autonomous driving is growing, according to a new survey by CarInsurance.com, which found the one in five drivers were interested in systems that could help pilot a vehicle, many potential buyers saying they would never again take the wheel again if a self-driving, or autonomous, car were available. While 20% of the 2,000 licensed drivers surveyed said they would turn over the keys, interest in autonomous vehicles increased when the prospect of reduced insurance rates was introduced into the equation. “Our survey shows cheaper insurance will greatly influence consumer acceptance,” said CarInsurance.com managing editor Des Toups. Advocates actually hope that autonomous technology will reduce the number of vehicle crashes, injuries and fatalities on America’s roads. But the concern is that any incident involving a self-driving vehicle could lead to aggressive legal actions that would drive up insurance costs. On the other hand, fewer crashes could wind up lowering insurance rates. More than a third of those surveyed said an 80% discount on car insurance rates would make purchase of an autonomous vehicle “very likely,” and 90% of drivers said they would at least consider the idea. Cars that park themselves, navigate stop-and-go-traffic or avert an impending collision are already on U.S. roads today. Nissan has promised to put a fully autonomous vehicle — one that allows a computer to assume control under the right conditions – into production by 2020. A fully automated vehicle that doesn’t need a human operator to at least be ready to take control in an emergency could someday follow. However, 64% of respondents also said computers were not capable of the same quality of decision-making that human drivers exhibit. Meanwhile, 75% said they can drive a car better than a computer could, while 75% said they would not trust a driverless car to take their children to school. The survey also asked consumers which companies they would trust most to deliver driverless-car technology and 18% said a start-up automaker such as Tesla, with another 15% pointing to a software company such as Google or Microsoft. But the majority, 54% said they would trust a traditional automakers such as Ford or Toyota. Asked what they would do with their time in the car 26% of the respondents said they would talk or text with friends; 21% said they would read, 8% said they would watch a movie, while 9% said they would watch the scenery and 7% said they would work. This entry was posted on Tuesday, November 5th, 2013 at and is filed under Automobiles. You can follow any responses to this entry through the RSS 2.0 feed. Both comments and pings are currently closed. Autonomous sounds good and lazy but in rush hour traffic in major cities how much will traffic be affected when the sensors require greater, safer following distances? Will merging vehicles cause accordion fluctuations in the traffic flow? Just wondering. I don’t think the results of the survey justify a headline trumpeting “increasing (buyer) interest in autonomous vehicles”, rather it seems like the responses are all over the place — consumers like the idea of large (potential) discounts on insurance, but don’t trust the technology, and think they can drive better. I for one have absolutely NO interest in a vehicle which drives itself. One of the main reasons I have been getting up and going to work for the past 36 years is to have a nice vehicle to actually drive. Removing the driving activity will effectively eliminate a big reason for enjoying life every day, at least for me.